If you are like me, life gets away from you. There is just so much to do, and accomplish, and so many shoes to buy that suddenly you turn around and realize a holiday is just around the corner, and you have not had enough time to pick out the perfect outfit for your day’s. So here is some advice and a few outfit ideas to help you enjoy the celebrations this weekend! White skinny jeans are a summer staple. They are light, flirty and go with anything! 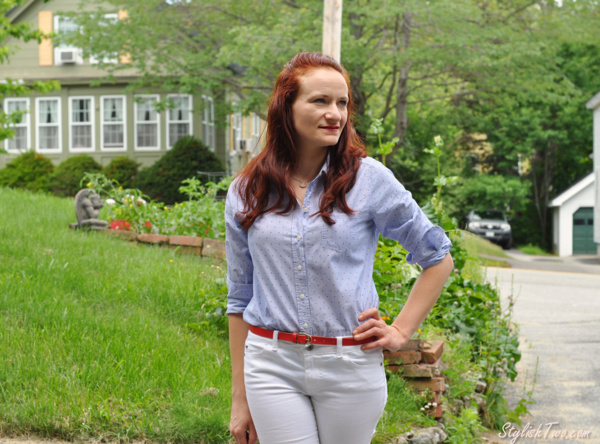 Pair them with a blue striped button down–mine actually has stars and stripes! Pair it with red accessories. Cut offs are the perfect casual summer outfit, and they are blue! Pair them with white sneakers, a summer trend, and layer red and white tops! Yep. I love a jumpsuit. Pair any jumpsuit with red white and blue accessories for an evening event! Being non-traditional, I have two jumpsuites, both in bright colors! This bright blue vintage jumpsuit is perfect for the holiday. Paired with chunky white sandals and a red belt, its a perfect fun holiday outfit! Not all holiday events events this weekend are going to be causal! Consider pairing a red, white or blue blazer over a patterned tank and a bright pair of skinny jeans for a dressier event! 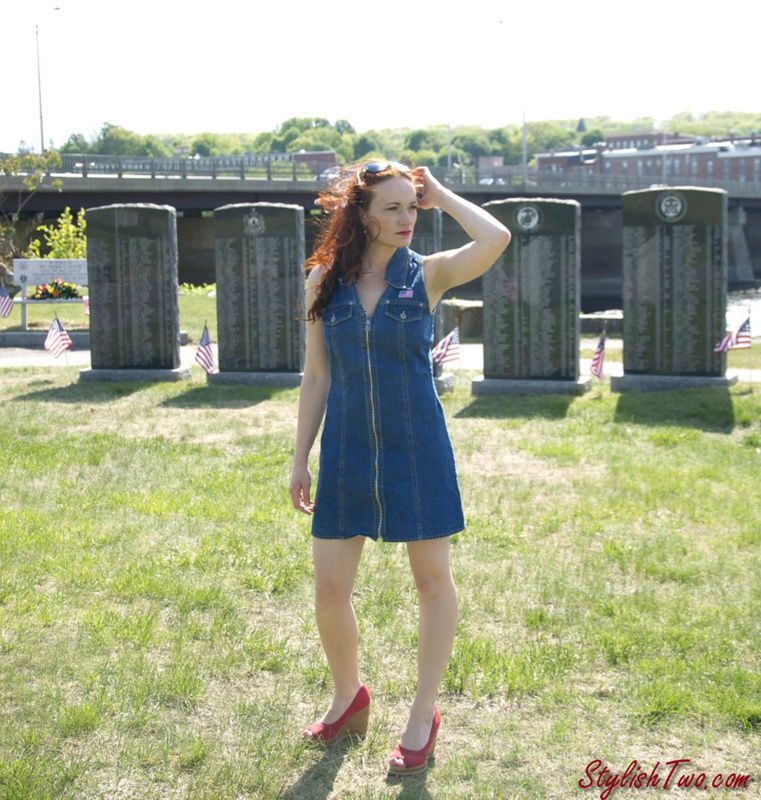 This patriotic dress was my outfit for Memorial Day, but the same thing that made it patriotic then, make it patriotic now. This summer trend absolutely warrents being worn again! The right accessories. The trick to making any holiday outfit work is with the accessories. 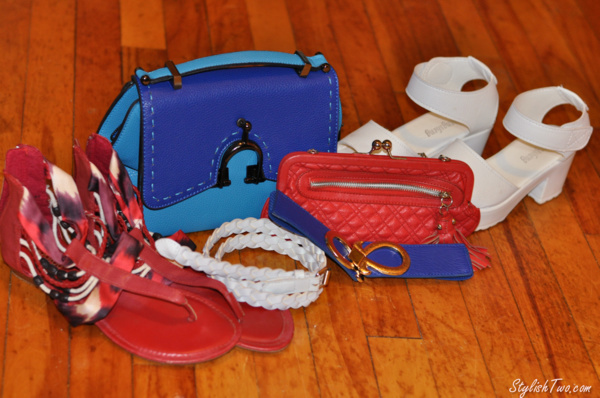 You can make any outfit look patriotic by adding some red, white, and blue accessories to it. So look threw your closet and find things that work! 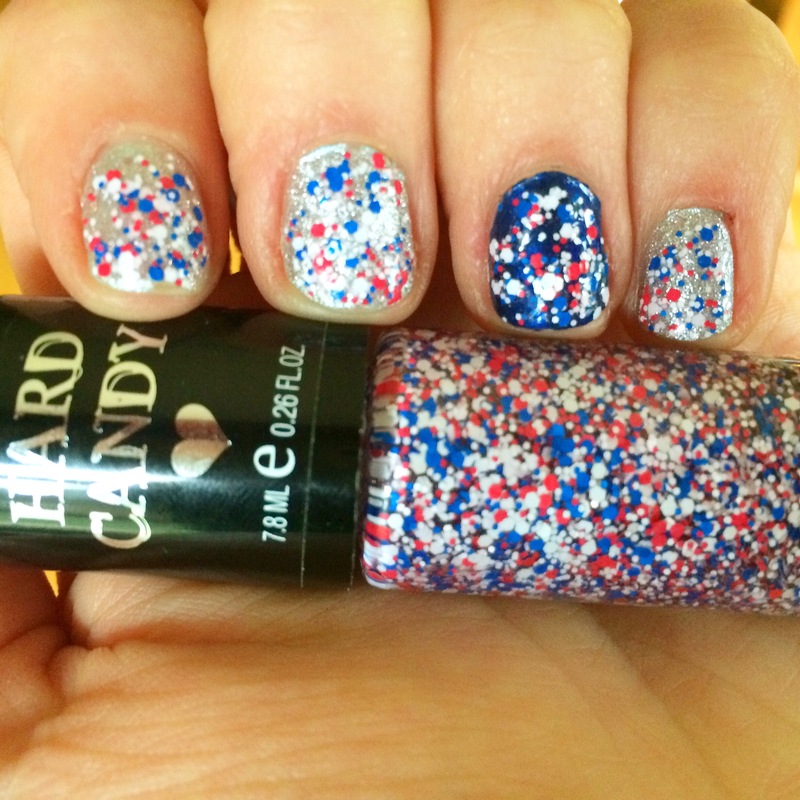 And of course…paint your nails!